Organizations are struggling to manage the challenges of the mobile era, with only a few currently testing their mobile applications, according to Capgemini. Where organizations are conducting mobile Quality Assurance (QA), they are primarily focused on performance (64 percent) and functionality (48 percent), with a mere 18 percent of organizations focusing on security. Even more worrying, it appears that testing organizations are unable to address the new challenges, posed by the increasingly digitized environment due to a lack of the right resources, tools and methods. Yet, the ability to effectively test the quality of software applications has never been more critical to an organization’s reputation and operations. 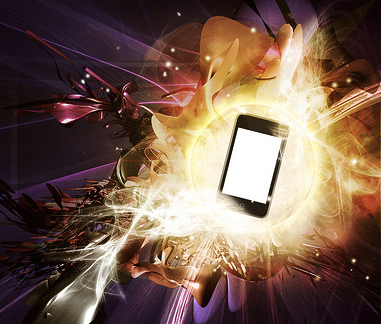 Is mobile software dangerously under-tested? Read the full article over at inaudit.com. Hi everyone, thanks for sharing this article and your website is very unique because there are many informative article. It's so refreshing to find articles like the ones you post on your site. Very informative reading. I will keep you bookmarked. Thanks! very nice mobile app.its advanced app.thanks for us. Mobile apps mostly used for web designing concepts.Organizations are struggling to manage the challenges of the mobile era, with only a few currently testing their mobile applications, according to Capgemini. all are like to play games kids to older person onwards. Very nice piece of article which can help many developers, thank you for sharing your knowledge with us. Keep sharing. The main thing which i like about web designing is that itneeds creativity and we need to work differently acccording to our clients need this needs a creativity and innovation. After the website s completed it is very impoprtant to market it. Be it a brand or a website, if you want to reach a large audiece then effective marketive should done and this can be achieved by SEO. As the world is constantly getting advanced digitally for every brand or a company it is very improtant to mark their presence online. not only to mark their presence they also have to be very active on the web so that they can have a conversation with their clients/customers and solve their problems or improve their service. If you are willing to develop a website but you dont know web development or coding then relax wordpress CMS platform is just for you. Where you can create website all by yourself. excellent care and we take your comments to heart.As always, we appreciate your confidence and trust in us. very shocked to hear this. After delivering the mobile that the customers faces many problems. All that want to solve. predelivery testing is more important. Your blogs are very informative and gracefully your guidelines is very good.This provide me the best way of assuring the quality of the product. Thank you for great information. yea obviously its true. thanks for creating awareness about inadequately tested the mobile apps. and also shared about the qualiety assurance. really very informative information. It has more valuable information and is unique.It is useful for me to improve my knowledge. well explained about how to test the mobile apps. it more helpful information you were shared to gain knowledge on particularly how can beware from mobile hangouts. It becomes difficult to find a creative web designing company in hyderabad which focus on layout as well as design which is similar to this website. Seems it is designed by a good website designing players. These provided information was really so nice,thanks for giving that post and the more skills to develop after refer that post.our giving articles really impressed for me,because of all information so nice. Thanks for sharing this informative content on networking. The people who have suffficient knowledge about the networking can start preparing for CCNA. The basic knowledge about the routing algorithm, subnetting and switching adds advantage of learning CCNA. In India thenumber of smartphone users have been on a rise. Among them also the people using android is way to high. Being an android developer would be the dorrect career choice. This information is impressive.Smartphone users are increasing day by day.Most of the programmers are interested to create mobile applications. Java is the most preferable language for creating a new mobile app. It's really great information.I am glad to found this kind of websites. Web designing is the process that involves collecting ideas and implementing them with the intent of creating the web pages for a website. In today's world android users are increasing day by day.Java courses is more useful to create mobile applications.It has a great scope in future. Wonderful article,very useful and well explanation.Your post is extremely incredible.I will refer this to my candidates. The very next time I read a blog, Hopefully it does not fail me as much as this one. After all, I know it was my choice to read, however I genuinely thought you’d have something interesting to talk about. All I hear is a bunch of complaining about something that you could fix if you were not too busy searching for attention. nearly there are number of apps here we can report of mobiles apps inadequately.. Thanks for sharing such a wonderful post.This is really helpful for mobile app developers. Android Training in Chennai offers a wonderful training with face to face interaction.Start your career in android field.It has great scope in future. Testing is the important one for developing the application. Software testing is required to point out the defects and errors for development phrases. So, it offers a good career for talented professionals in software testing field. A general purpose object oriented language here is massive demand for java professionals in software development industries. Thus, taking training will assist students to be skilled java developers in leading MNCs. 66 of the mobile apps inadequately nic eposts.. Organizations are struggling to manage the challenges of the mobile era, with only a few currently testing their mobile applications, informatica online trainingaccording to Capgemini. Thankful to you for requiring noteworthy venture to give us a part of the accommodating and select information with us. This substance makes another trust and motivation within me. A debt of gratitude is in order for sharing article this way. The way you have expressed everything above is entirely amazing. Continue blogging this way. Thanks of sharing this post…CCNA is the fastest growing language that helps to get your dream job in a best way, so if you wants to become a expertise in CCNA get some training and get certification in CCNA Technology. Thanks Admin for sharing such a useful post, I hope it’s useful to many individuals for whose looking this precious information to developing their skill. Thanks for sharing this informative blog. I have read your blog and I gathered some valuable information from this blog. Keep posting. Great post and nice blog. Thanks for sharing this useful information with us. Great effort. Hi ! Your blog is extremely enlightening and effortlessly your rule is exceptionally good.Thank you for sharing this magnificent blog. It’s a great post. Keep sharing such kind of worthy information. nice article to know about 66% of Mobile Apps Inadequately Tested. Excellent blog about mobile applications, really informative.Keep sharing more like this. Simply superb about this blog. Really a great job. Good information for the freshers. Seeking for this kind of information and got it thank you for the post. I believe that your blog would allow the readers with the information they have been searching for. Keep sharing more. Very good information provided, Thanks a lot for sharing such useful information. The End of Flash for Mobile?